The London Coliseum is home to the English National Opera (ENO), and is one of the largest theatres in London. Opened in 1904, the English National Opera was designed by Frank Matcham, who had the ambition of building the largest and finest 'people's palace of entertainment' of its age. The theatre, located in St. Martin's Lane, is a grade II listed building and retains many of its original features. 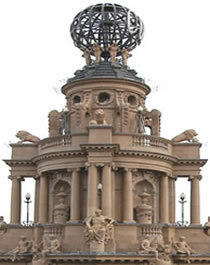 One of its main features is its revolving stage, however, it is rarely used. It also has the widest proscenium arch in London and was one of the first theatre's to have electric lighting. All performances at the London Coliseum are in English, with subtitles displayed.